With Tenacity® herbicide, you can control weeds at the same time you over-seed. Most herbicide products remove weeds from established turf, but Tenacity can also be used to prevent weeds from germinating in newly seeded or over-seeded turf. When grass seed has a chance to grow without weed competition, fall root establishment is stronger, resulting in a healthier, denser turf stand in the spring. Whether you want to over-seed in the fall, re-seed bare areas or remove grassy weeds like creeping bentgrass from your turf, Tenacity can help. 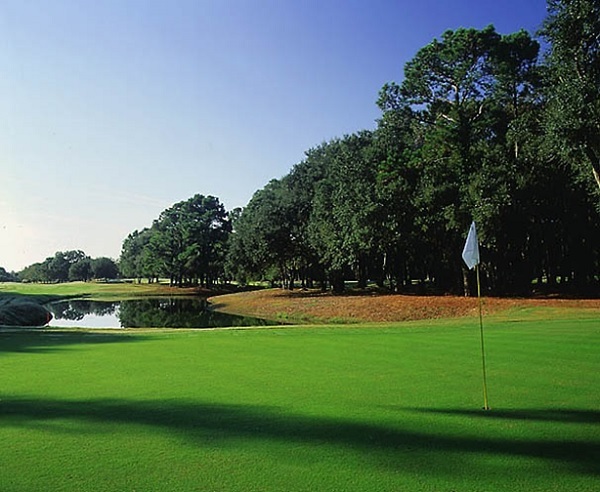 With few restrictions around applications, Tenacity may be applied to labeled turfgrasses anytime up to, during and after seeding, or prior to emergence. 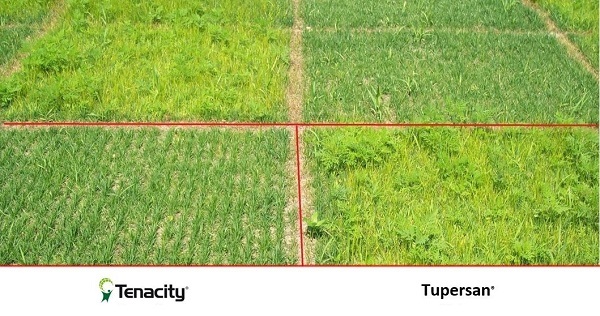 Tenacity is one of the few herbicides that controls weeds during the seeding process and provides pre-emergence and some post-emergence control of many weeds. View the View the Tenacity and Hydroseeding Information Sheet to learn more. University of Maryland trial, 2010. Tenacity was applied at 5 oz. + 5 oz./A and Tupersan® herbicide was applied at 24 lbs./A. Apply Tenacity at 5-8 fl. oz./acre prior to, during or after seeding. A non-ionic surfactant is recommended if weeds are present at time of application. Repeat application after second mowing or 3 to 4 weeks after emergence. Use the low rate (5 oz./acre) for existing stands containing greater than 50 percent ryegrass or fine fescue. Do not use on seed mixtures containing more than 20 percent fine fescue by weight. Short term, transient whitening may result from Tenacity applications. The mode of action in Tenacity prevents production of carotenoids in new leaf tissue, a key stabilizer of chlorophyll (green color) in plants. This may also occur in new seedlings of the desired turfgrass species. The effect is temporary and with regular mowing, white tissue disappears. The resulting turfgrass stand will be weed-free during establishment and help ensure a healthy stand of grass. To learn more about how Tenacity can control troublesome weeds in your area, contact your local Syngenta territory manager. ©2018 Syngenta. Important: Always read and follow label instructions. Some products may not be registered for sale or use in all states or counties and/or may have state-specific use requirements. Please check with your local extension service to ensure registration and proper use. Tenacity® and the Syngenta logo are trademarks of a Syngenta Group Company. Tupersan® is a registered trademark of Gowan Company.